1. To learn how to experience Ayahuasca in America, visit this page here. 2. For Ayahuasca in Peru and the deepest healing, click here to learn more about our One-of-a-kind 9 Day Ayahuasca Retreat Immersion. 3. Or, if you’re new to Ayahuasca and want to learn about this sacred, life-changing medicine and how it can help you, keep reading this page below. Please note: The website for the Ayahuasca Church in America has moved to this site here. What is Ayahuasca (Iowaska)? How can it help you? Are you at a stage where you’re asking questions…? Deeper questions about life, meaning and purpose? Are you wanting to get a deeper sense of who you really are? To live your highest potential? Do you seek a better understanding of the universe and a deeper experience of love, freedom or inner peace? Do you feel like you’re approaching the end of an old chapter in life, and are ready to turn the page into a beautiful new experience for yourself? If so, Ayahuasca can be the very thing you’ve been looking for. Have led you to this page. Have led you to Mother Ayahuasca. And will lead you, to your liberation. And discovering the true reason you’re here on this planet. Because there is one thing that leads everybody to Mother Ayahuasca. A knowingness that something may be “off” in your life. A calling to heal. To grow. To let go of what’s been keeping you stuck, or feeling trapped, empty or unfulfilled in life. And this page, these words, us meeting, is no mistake. Who Am I? Why Am I Writing This Page? My name is Trinity de Guzman. Back in 2013, the same thing led me to Peru and Mother Ayahuasca. I knew I was here to be of service to others. I knew I wanted to help, but I didn’t know exactly how. I wanted to grow spiritually, and a deeper understanding of the world and myself. Now I realize, all of these desires, have led me to Peru, Mother Ayahuasca, and the most magical life I could have ever asked for. If we know how to honor and respect this blessed teacher and spirit, this life-changing medicine can give us gifts more beautiful than anything we’ve ever imagined. There is so much to share, about how to truly approach this medicine in the best way, in order to receive the infinite blessings that Mother Ayahuasca can give you. It’s a lot to cover on this page alone, but for those who are really serious about this path, I’ve written 10 lessons that I feel anybody who is new to Ayahuasca, needs to know. These 10 lessons cover everything from how to choose the right shaman or curandero for you, how to protect yourself in ceremony, and overall, how to get the most out of your journey with this blessed medicine. I really recommend you watch these documentaries, and read these lessons. If you want these 10 lessons (sent to you via email), just enter your email on this form here. Now, back to where I was. That’s why I’m writing this page. To help educate those of you who are called to this blessed teacher and plant medicine. To really see if this path is for you. And if it is, how you can have the safest and most healing, transformational journey possible. Because some people enter this path, looking for a quick-fix… and after their Ayahuasca experience, they are left worse off than before. I want to make sure that doesn’t happen to you. So please read this whole page, from top to bottom, if you are serious about seeing how this medicine can really help you. Later, I will share with you all the information about our Ayahuasca Retreats in Peru. Mother Ayahuasca has showed me so clearly, “The New Paradigm of Ayahuasca” and how we NEED to be working with her, in order to truly create the deepest and longest-lasting transformation possible. I don’t see any other Ayahuasca retreat centers putting this level of attention to detail, to all aspects of your healing journey – before, during, and after – to create the most powerful retreat experience possible. I’m excited to share more about this in a bit! If you’ve already done a lot of research on this sacred sacrament, and you’re certain an Ayahuasca retreat is what you’re looking for, then you can click this link to be taken straight to the information on our 9 Day Ayahuasca Retreats in the Sacred Valley, Peru. I really recommend you go through everything that is written on this page slowly, because there is important information that I feel is very rarely spoken about when it comes to Ayahuasca, that you have to know about. The bottom line is, this page is to keep you safe, to make sure you receive nothing but beautiful gifts from your journey, and nothing else. It is common information that Ayahuasca is a sacred plant medicine from the South American Amazon, which indigenous tribes have been working with for thousands of years. It is a combination of two plants, Chacruna (Psychotria viridis), which is a leaf, and Ayahuasca (Banisteriopsis Caapi), which is a vine. They are prepared and boiled over a fire for many hours, to prepare the Ayahuasca tea, which is consumed in a ceremonial setting. The Ayahuasca ceremony is used for healing on every level – physically, emotionally, psychologically and spiritually. It is known to provide deep revelations into the nature of reality, who we really are, and our place in the Universe. I believe these are the basics of “What is Ayahuasca?”. More importantly, I want to share with you a new perspective that Mother Ayahuasca has given me, that can really help you see what this medicine can do for you. Have You Ever Watched “The Matrix”? Remember when Neo was given the opportunity to take either the “Red Pill” or the “Blue Pill”? If he took the “Blue Pill” he would go back to sleep, not remember anything, and continue his old life, in the illusion he thought was “reality”. He was warned, once he made his decision, he couldn’t go back. He was warned; it’s not easy to see the Truth. Is how I look at Mother Ayahuasca. It’s almost like taking the Red Pill from the The Matrix. Once you have your Ayahuasca Ceremony, it’s like there is a seed that is planted inside of you. This seed, let’s you know, there IS a way out. Essentially, it plants this seed inside of you, and sort of makes it like you can not help but look for a way out. In other words, you feel like you HAVE to find a way out. The truth behind the pain and suffering. That you don’t need to live that life any more. That you don’t need to keep doing the things that make you unhappy. And once you sit with this blessed teacher, it’s like you can not stop, until you are free. The biggest problem we face as a society is the disconnection we have with our heart. You were taught as a child, the importance of going to school, getting a good job, saving up, and essentially how to play well in “the system”. But what you weren’t taught was that was the path to being trapped in a job you probably don’t like. And how to live basically the same day, again and again. You weren’t taught how to follow your dreams, or how to discover your purpose. You weren’t taught how to just be happy and present, how to love deeply, and how to know yourself. THIS is the problem we face in our world. This is the crisis that Mother Ayahuasca is here to help us heal. This disconnection from our truth, our heart, our dreams and our purpose. Because if you approach Mother Ayahuasca with the deepest love, honor & respect, she can help you heal all of these, and the past emotional traumas that may keep you quietly unhappy inside. Who is an Ayahuasca Retreat for? Ayahuasca is only for the people who are serious. Serious about their inner growth. Their transformation. Their conscious expansion. Serious about knowing themselves. 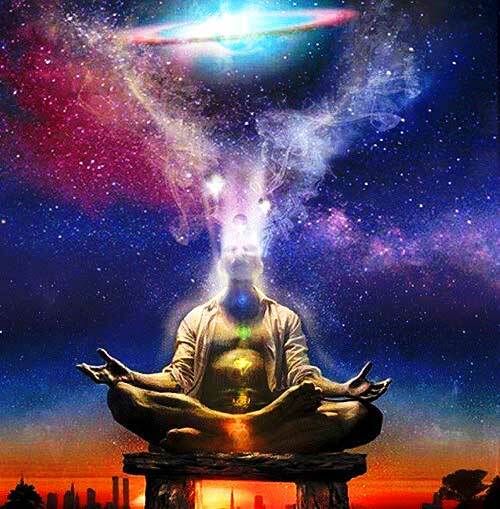 Connecting deeper with Spirit, our planet, all beings, and understanding the Divine Nature of our Existence. Serious about letting go of all the things that no longer serve. You know, the habits you keep doing, but aren’t sure why. The addictions, to big things like maybe drugs, smoking & alcohol, to the intangible things like thinking too much and technology. It’s for anybody who is truly serious… about making a real change in their life. Ayahuasca is here to help those who may be suffering physically, from any type of bodily imbalance, to those who are struggling mentally. From addictions. Anxiety. Depression. To constant fear. Fear of what others may think of you. A constant “worst-case scenario” mentality. These fears aren’t your fault. They were taught to you, because of the society you grew up in. You didn’t choose to take them on. They exist simply because of your conditioning, with how you were brought up. The fact is, these fears – or any – do not serve you. And once you can identify your fears, you no longer have to keep them. So stop for a moment. Truly. Be honest with yourself. You don’t need to hold on to that. Ayahuasca is for anybody who is truly ready to take this difficult path, of deep inner healing. It will probably be the hardest thing you’ve ever done. And that’s why we need to do it. Because it is by walking this path… to our edge of comfort. Where our deepest transformation lays. Only if you are willing to go into the shadows, into the depths of your own personal history, into memories long forgotten. Traumas and wounds. Sadness and pain. Loss and struggle. It is only when you can go there, and bring love and healing to these difficult places, when true change can happen. But it will be more worth it than anything you’ve ever done. So Ayahuasca is only for the people who are SERIOUS about their healing. For themselves, and the world. Are you serious? About this path? About this deep inner transformation? And are you willing to do what is hard, to enjoy the life you know you came here to live? Only if you can honestly answer YES to these questions above, do I invite you to keep reading this page. Because if THIS is your intention, you can expect to receive the greatest gifts that you’ve probably ever received in your life. Who is an Ayahuasca Retreat NOT For? Ayahuasca is NOT for anybody who is looking for an easy ride. It’s not for anybody who thinks Ayahuasca is a “magic pill” or a “magic bullet” that you just need to take, and your life will be fixed. Ayahuasca is a tool. A blessed teacher and Spirit. A sacred sacrament. And nonetheless, ONE tool, out of countless that exist in our world. What do I mean “tool”? A tool is something we use, to make our life easier, right? We use a hammer to make hammering a nail easier. We use a screwdriver to screw a screw. And we use Ayahuasca for our conscious evolution and healing. However there are countless tools out there, like yoga, meditation, and breathwork. Healing modalities from around the world. Reiki, Qi-gong, Tai-chi. Chinese medicine. Acupuncture. EFT. Past-life regressions. Tantra. Shamanism and plant medicine is just one path. One tool. Who determines how the tool is used? The person with the tool. YOU are the one who ultimately decides how deeply Ayahuasca can help you. Ayahuasca won’t just “fix” you. You can’t just drink your problems away with Ayahuasca. It takes a deep commitment. For life. To walk this path of healing. Of Mindfulness, Awareness, and Consciousness. To constantly discover deeper layers of Who You Really Are. To take this journey not just because you want something easy… But because you are willing to do what it takes. Or you’re just looking to “try” Ayahuasca because everybody else is. If that’s the case – I’m sorry, but this medicine isn’t for you. Not right now anyway. And I recommend you stop reading, and really take some time to look inside. When your intentions are purely for your healing, and the healing of others – then, and only then, can you receive the infinite gifts that Mother Ayahusaca has waiting for you. For your commitment. To yourself. To your healing. To this path. And to really going deep, so that together, we can make the world a better place. It starts with you and I.
It’s not the world that needs healing. When we walk this path to heal ourselves, that is the greatest thing we can do, to serve this world in it’s much-needed healing process. There is a true danger and PROBLEM, that I see happening, when it comes to how this medicine is being shared in the world. It is the fact that Ayahuasca is so available, and becoming so “popular”. In one regard, this is amazing, for the awareness of healing it is bringing to the world. But it is bringing people together, that is a recipe for a dangerous situation. On one side, there are people who are being called to Ayahuasca, who are just NOT READY for this medicine. For example, people who have no spiritual background or spiritual practice in their lives. Or people who have no experience with self-inquiry and introspection for healing and personal growth. To take someone that I’ve just described, and give them a cup of Ayahuasca, would be like trying to take a child, and put them in a University-level classroom. It is too much information for them, they wouldn’t be able to handle it, and it may leave them more closed or traumatized, than anything. This is happening all over the world right now. Ayahuasca has become so available, that anybody who wants it, can find their way into a retreat. There are so many Ayahuasca retreat centers that would give a seat to pretty much anybody who would pay them money. If you come across an Ayahuasca retreat center, that doesn’t take you through a deep process of getting to know you, before you can sign up for a retreat, that is a tell-tale sign that they are not sharing the medicine with a STANDARD that must be met, in order for every person involved to be SAFE and have a truly powerful, meaningful and deeply positive experience. This is why we have such a thorough application process, to really get to know you, and understand where you are at in your life, before you attend any one of our retreats. If you aren’t familiar with these internal realms, or you don’t have a certain level of self-awareness before coming to this medicine, or you don’t have a spiritual practice or path in your life… then going to an Ayahuasca retreat can possibly lead you to being disappointed that it didn’t help you more, or even worse, traumatized from your experience. And that is the last thing we want! This is why we are doing everything we can, to spread this message! To you, to really check in and see if this medicine is for you right now. And to those sharing the medicine, to be more discerning with who they share the medicine with. Are You Ready For an Ayahuasca Retreat? Or at least something you do several times a week, with consistency? I’m talking about meditation, yoga, or anything that you do to Be with Yourself. It could be dancing, music, art, being in nature, writing… Anything that allows you to learn about yourself, to process, to heal, or clear energy. If you do not, I’m sorry, I really would not recommend Ayahuasca for you right now. Take some time to develop a spiritual practice. This will ensure you get SO much more out of your experience, than you could right now. We’re here to specifically help you, if you are just starting your spiritual journey. There are so many ways we can do that. If you would like our support (which is free of course) please visit this page, and enter your email to join our Global Healing Community, where supporting you in your personal evolution, with or without Ayahuasca, is the most important thing to us. The bottom line is, there is a way of working with the medicine, that is rooted in integrity, service, and your deepest transformation as the highest value, that we do not see many people are living up to. This is honestly the reason, why we created an Ayahuasca Retreat Center in the first place. Because you need support on this path, in ways that nobody else out there is providing. I’ve been shown by Mother Ayahuasca, there is a new way of bringing Her to the world, that is needed to help us through our modern-day way of thinking, and our current problems and challenges in the world. This is why I’ve created an Ayahuasca retreat center in the first place. I’ve never seen anything that can help people heal so deeply, so quickly (after studying healing modalities from around the world for several years), and after my first ceremony, I knew I had to share this life-changing medicine with the world. The thing is, I was shown how Mother Ayahuasca wanted to be shared in the world, with an emphasis on a holistic approach, and tailored for the Western mind. I realized there was no Ayahuasca retreat center out there that offered that. I soon understood, I had to create this Ayahuasca retreat center myself. To really bring to the world, a new vision of sharing the medicine, that has never before been seen. So, what I will be sharing with you, is what’s been taught to me as the “New Paradigm of Ayahuasca”. And it is how to share this medicine in the best way, for our modern day problems and consciousness. This New Paradigm of Ayahuasca, isn’t for everybody. All you can do is read what is on this page, and if it resonates with you, then great! Follow your heart. If not, that’s great too. All I ever want anybody to do, is follow their heart, and do what feels best to you. The Old Paradigm of Ayahuasca, which is how the medicine has been shared for thousands of years, is very earthy, masculine, and dense. It’s very much about physical healing, and going into the shadows of our consciousness, into the dark, scary places, to heal what we need to. It’s difficult, challenging, intense, purgative, and yes, very powerful. This is the Old Paradigm of Ayahuasca. And I give SO much thanks, gratitude, respect, and reverence for how this way of working with the medicine, has brought us to our current level of consciousness. But we need a new way of working with the medicine, to take us to higher states of consciousness. To the next level in our collective evolution. This is where the New Paradigm of Ayahuasca comes in. The New Paradigm is all about love, light, the Angels and Archangels, the Ascended Masters, Sacred Fires, and through our joy, through love, through the heart, illuminating, cleansing, and purifying what no longer serves. It’s about the Feminine energy, the Divine Mother, and about healing through an enjoyable, blissful, heart-opening experience. It’s about the gentle, soft, loving compassion and grace of a child in its Mother’s arms. It’s about healing through an experience that is so much more easy and enjoyable. The Spirit of the New Paradigm is the hummingbird. She represents the higher frequencies and energies. Just as the snake would represent the masculine, earthy-nature of the Old Paradigm, the hummingbird represents the feminine, heart-centered nature of love and light, in the New Paradigm. The New Paradigm is about the collective work. The collective healing and ascension process we are all going through together. And the deep understanding, that our personal healing, is the collective’s healing. The New Paradigm, is about healing ourselves, so we can heal the world. It’s about listening to your heart in every moment, and not doing something just because someone says so, or because that’s just the way it’s been done before. This… Is the New Paradigm of ayawasca. And this is the foundation of any of our Ayahuasca Retreats that we share in the world. Now, after reading all of this, and you’re certain you’re ready for this medicine, then visit this page here, to learn more about our 9 Day Ayahuasca Retreats in Peru.